IGNITION! 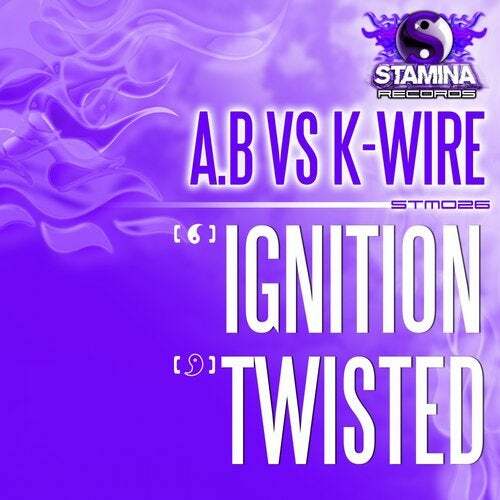 Blast off with A.B and the return of K-Wire to Stamina Records as the pair pen two total Yin & Yang cuts including certified set-opener Ignition. Taking a huge riff and making it centre-stage, an accolade to the days of another energy-injected label from which Stamina was born, yet coupled with modern production nuances and a slamming to-the-point arrangement, Staminas 26th release equates to guaranteed dancefloor carnage! Designed to put feet on the floor with its unadulterated and unashamed hands-in-the-air content, this is the way freeform rave music should be  purely for the party! on top of energy-injected freeform! Honestly though, who cares what genre it does or doesnt fit into  this is simply music for the crowd designed to be played out loud! Turn it up and enjoy the bass as Stamina unleashes another big tune to add to our ever-growing catalogue of dancefloor-designed slammers!